While it may not be as flashy as the Hart Memorial or Norris Memorial Trophies, the Masterton Memorial Trophy is one of the most highly-respected awards in the NHL. 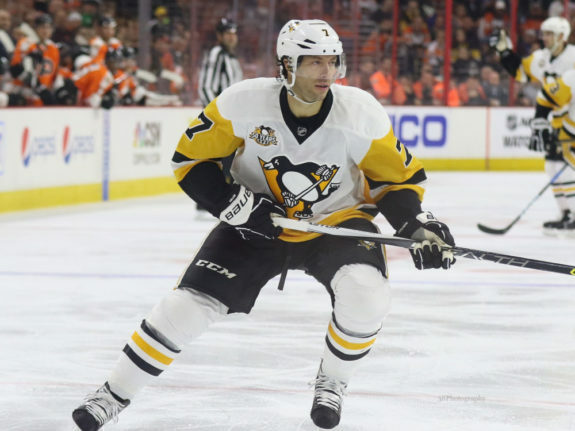 It is given to “the National Hockey League player who best exemplifies the qualities of perseverance, sportsmanship, and dedication to hockey.” Using that criteria, who better fits this award than Matt Cullen of the Pittsburgh Penguins? In his 21st NHL season, the 42-year-old is the oldest active player in the league. After a strong two-point outing against the Carolina Hurricanes on Sunday, he’s reached the 20-point mark. He’s been strong all season centering the fourth line with a revolving door of young wingers. Cullen suited up for his 1,500th career game earlier this season, just the 20th player to ever reach that feat. Across those 21 seasons, he’s touched the ice for eight different franchises. While it was during the dying stages of his career when he wasn’t as effective, he may be best remembered for his time with Pittsburgh. The Minnesota native has spent three of the last four campaigns with the Penguins, while he suited up for his hometown Minnesota Wild during 2017-18. He debated retirement several times over the last few offseasons but simply couldn’t stay away from hockey. If anyone in the league embodies “dedication to the game,” it’s Cullen. A three-time Stanley Cup champion, he was a key member of the Penguins’ back-to-back championship teams. He played all 49 games during those two postseason runs, scoring 15 points in the process. However, his scoring ability isn’t the only reason he’s still an NHL forward. The 42-year-old is a fan favorite as well as a beloved locker room presence. He was given the nickname “Dad” that both his teammates and Penguins fans have affectionately referred to him as over the last few seasons. He was brought in for leadership and the ability to drive a bottom line, both in scoring and grinding, and he’s been solid in both regards. Can Cullen Beat Out Other Top Candidates? Of course, Cullen is going to have plenty of competition for this award. The only other NHL skater in his 40s is also a Masterton finalist, Boston Bruins blueliner Zdeno Chara. Like Cullen, the towering, 6-foot-9 Chara was a product of the 1996 NHL Entry Draft. He’s spent the last 13 seasons in Boston, bringing home a Norris Trophy and raising the Stanley Cup during his tenure there. This season, there are plenty of deserving candidates as usual. Though he hasn’t had a great season, Chicago Blackhawks netminder Corey Crawford battled back from multiple concussions over the last two seasons. Mark Giordano of the Calgary Flames is a 13-year veteran that could finally earn his first Norris Trophy. 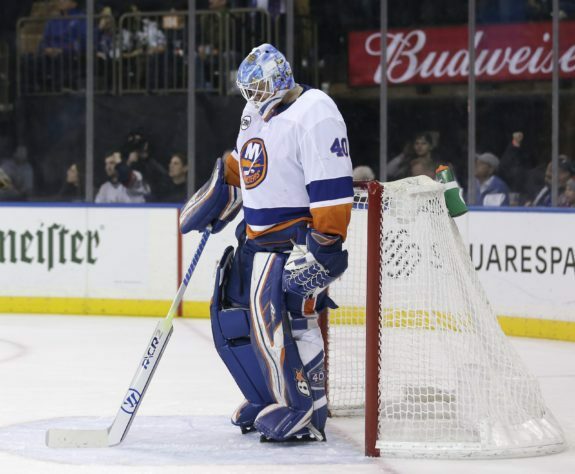 However, one player who should be a guaranteed Masterton finalist is goalie Robin Lehner of the New York Islanders. He’s having the best season of his career at 27 years old with a 2.18 goals-against average and a .928 save percentage while leading his team to the postseason. However, more importantly, Lehner opened up about his struggles with addictions and mental health prior to this season. It’s been a growing trend for athletes to come forward with their mental health issues in recent years and one that’s incredibly important in defeating the stigma around illnesses such as depression and bipolar disorder. Despite the myriad of Masterton candidates, Cullen has embodied every aspect of the award’s criteria for his entire career. Not only has he served a long and illustrated NHL career, but he’s raising his three young sons as hockey players as well. The 42-year-old hasn’t officially announced his retirement after the 2018-19 season, but adding a Masterton Trophy to his resume wouldn’t be a bad way to go out.